If you are in and around Marmaris this summer, make sure that you register for our special excursion to the nearby Marmaris Aqua Dream Waterpark. 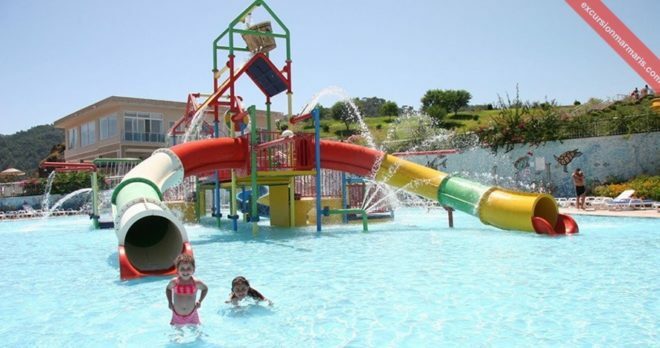 Aqua Dream is a brilliant place to stroll out with your family/group and your kids will love this place the most. 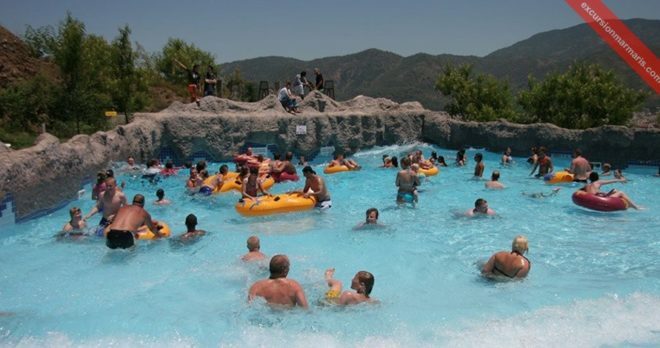 This is the largest waterpark in Marmaris and offers a great opportunity to get cool during intense summer heat. Make sure to bring your kids along with you to this amazing water world. You will love to see them play at full joy and enjoy fun rides in the park. The park has many exciting rides for you and your little ones. The friendly staff is always available to guide and assist you through various rides; the management ensures your complete safety and sees that you enjoy this visit to the full. 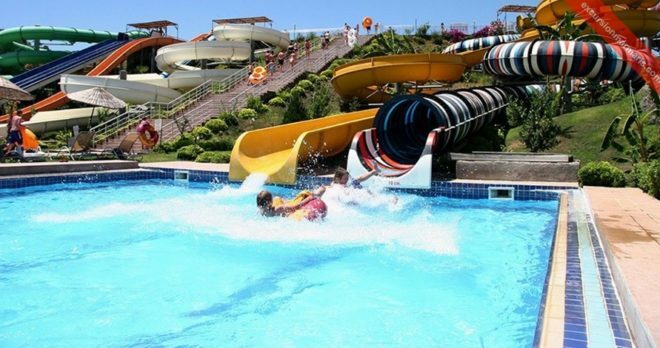 You will be amazed to take a ride on many interesting fun rides and water slides like the Pirate’s Ship, Pirate’s Waterfall, Octopus, Pirate’s Tunnel, Sunk Boat, Crocodile Frog, Mushroom Adventure River, Turtle, Anaconda, Gang slides, and splash around in the wave pool. 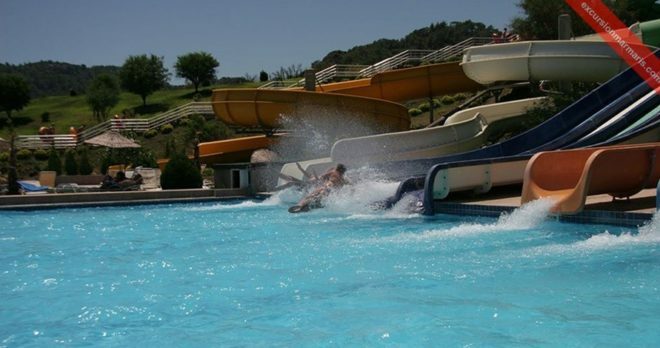 The waterpark is just 5 minutes away from the city center and is open between 10:00 am and 18:00 pm. The water in the park is bleached at regular intervals to ensure that it is clean and safe for children and adults who visit and play in the park. Since the park has many rides, you may not have to wait for too long in a queue to enjoy a ride, you can always pick an alternate one. The slides in Marmaris Aqua Dream Waterpark offer you a different degree of thrills and you are assured sheer entertainment. The waterpark has locker facility to safeguard your valuables; you can make use of the changing rooms to change your dress and prepare to play, splash and soak yourself in cool waters. There are mini golf lawns to keep you engaged; there is also a snack bar and a cafeteria from where you can buy tantalizing snacks and refresh yourself with fresh soft drinks. 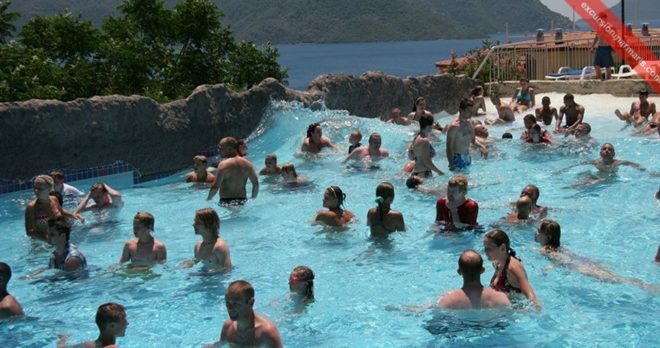 You can enjoy a refreshing hot/cold water shower at the park after having enjoyed all of your favorite fun rides and water slides. 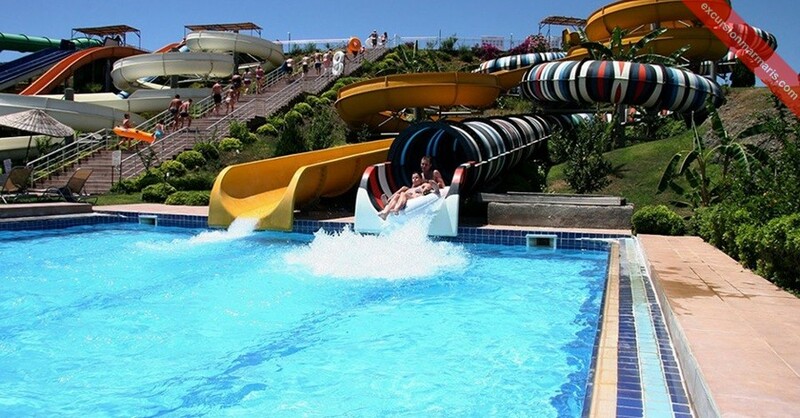 Visiting Marmaris Aqua Dream Waterpark is enjoying a full day filled with fun and adventure! Don’t Forget: Sun Cream, Sun Glasses, Swimsuits, Towel. Restrictions: Suitable for all age groups. 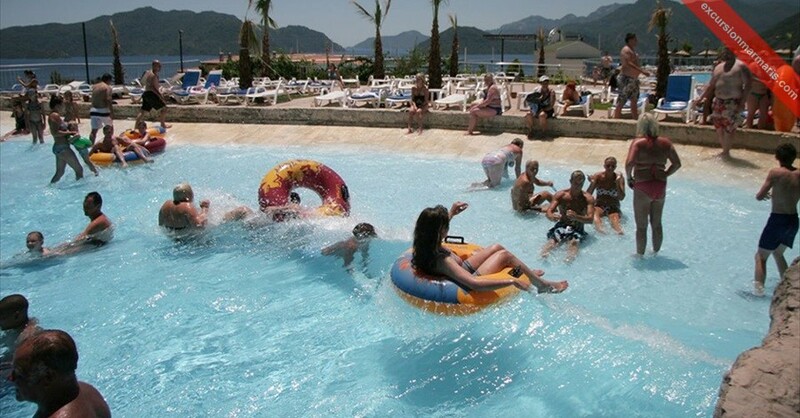 Aqua Dream Waterpark is the largest waterpark in Marmaris. This place has many interesting fun rides, water slides, wave pool, mini golf lawns and a snack bar as well. You will never feel alone here! Yes, your kids will love this place the most. 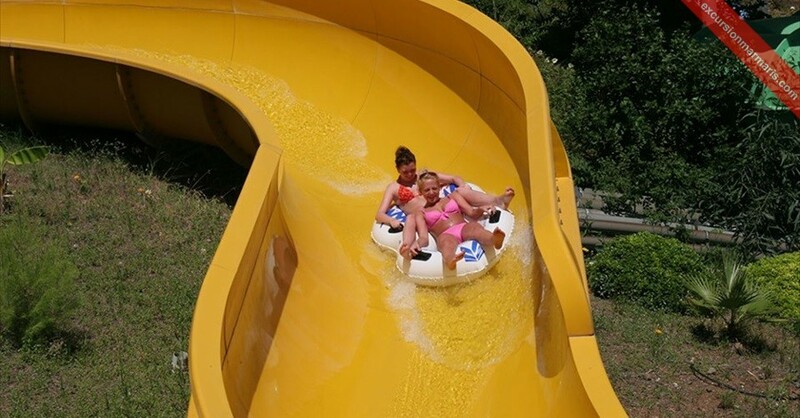 The 9 amazing fun rides provide different degrees of thrills and adventure. 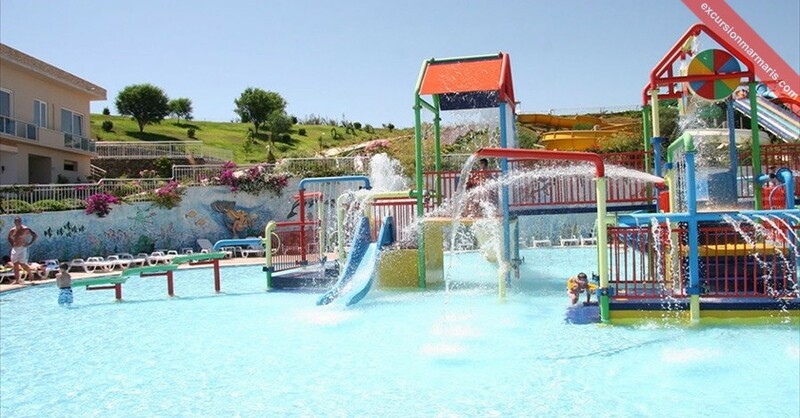 Your children will love to splash waters and play all day at the amusing wave pool. 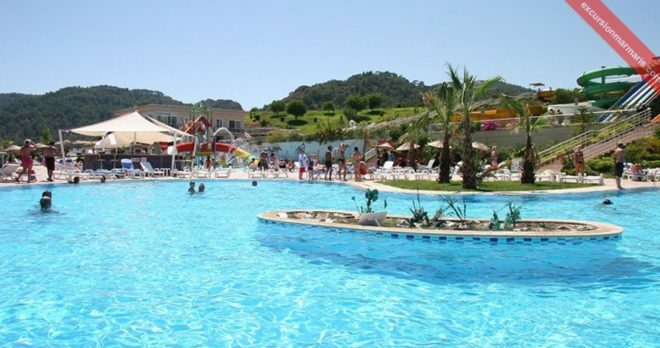 We provide you with a convenient and comfortable pick-up and drop-back service to your hotel in Marmaris. The shuttle service is included in the excursion plan and you need not pay any extra fee for availing it. A fantastic experience. 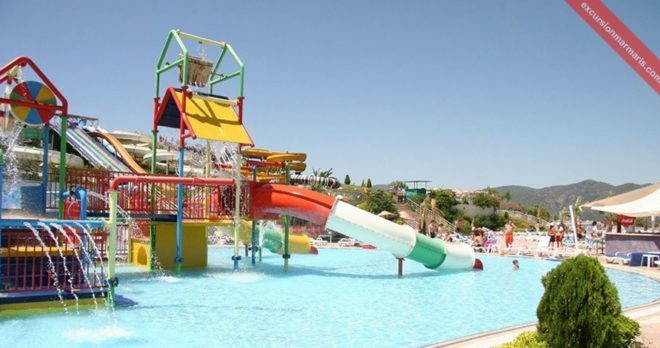 a beautiful aqua park with lots of different slides and attractions. Good spending, decent and affordable food and beverage prices and additional content. My recommendation for this aqua park.. Excellent cooperation with Cem, agency representative. Compliments for him, he was there for all my questions. We had lots af fun at the aqua dream water park. I visited with two of my nieces and we all really enjoyed our day.They have crazy slides there and the online price was cheap. Better buy your ticket online which comes with free transfer. If you go water park on your own they try to charge you more. And remember suncream, not alot of shadow there. 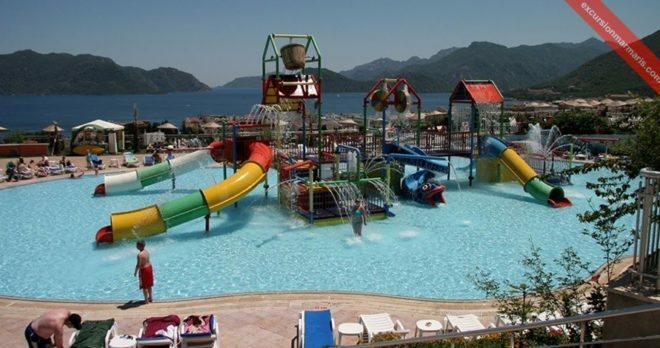 This is one of the best water parks in Marmaris I have ever seen. Booked online at a very cheaper rate. 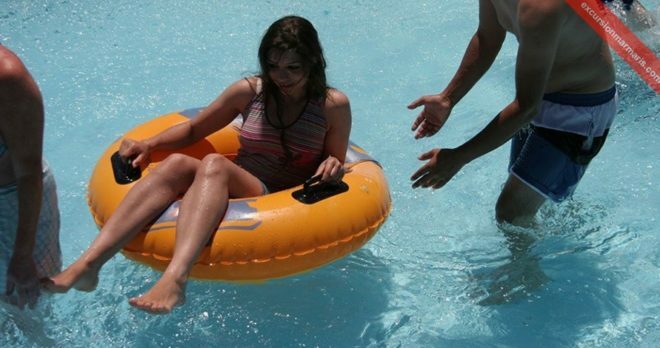 The water slides and rides were so good. My kids enjoyed it very much. It really feels comfortable in cool water in the summer season. Had a great view of the Marmaris town. Friendly staff and so helpful. We will definitely visit again. 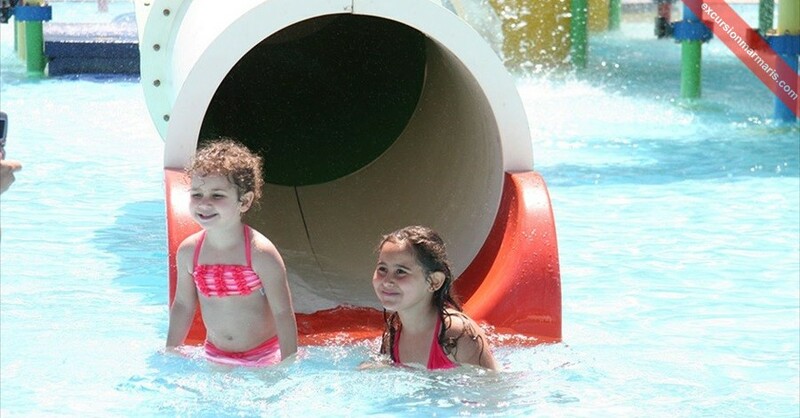 Spending some time at the cool water park on a hot summer’s day is a big relief! This place also offers you splendid views of blue sea and mountains around. Aqua Dream is one of the best water parks around Marmaris with a special zone for kids. Booking online will certainly save your time and money. Mares travel had arranged our trip to Aqua dream pretty well. My kids loved the rides at the park the most, we had played there for hours and I bet this is one of the best places around Marmaris to play with your kids. We choose to go to Aqua Dream Water Park as there were 3 to choose. 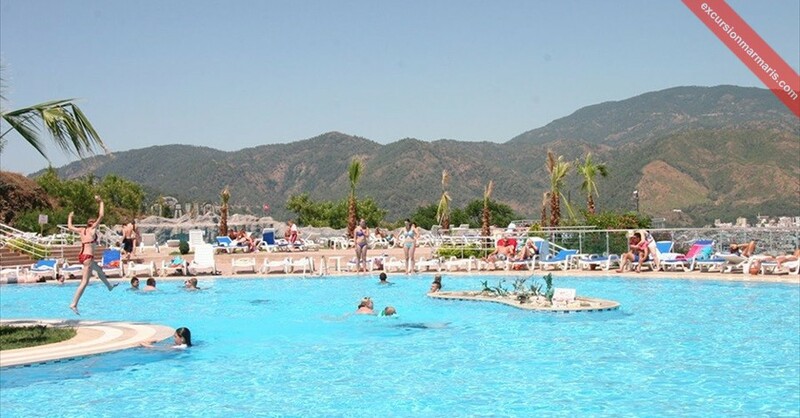 Nice and not very busy at all also great views of Marmaris. We had amazing 5 hours at the water park. U get a card at the entrance and you have to put money on to buy food and drinks. 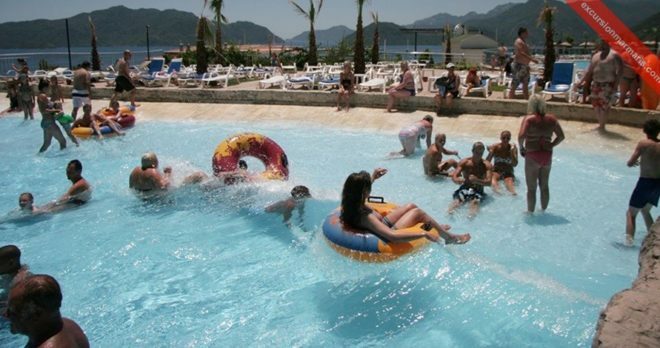 Best water park that we have visited in Marmaris. 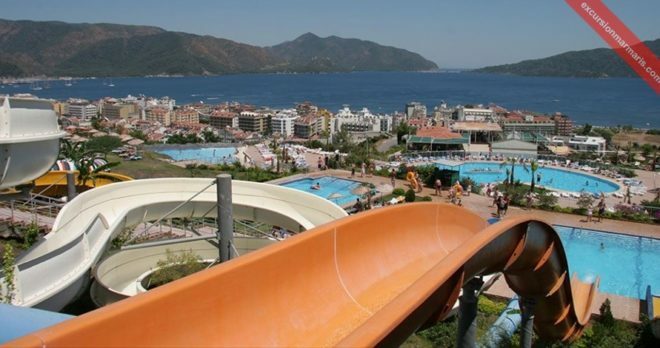 Great place with a wide range of slides, the water park is well designed and has got a fantastic view of the town. In the mid summer the park was busy but not packed which was perfect as we weren’t waiting more than 5 minutes for any of the slides. When you enter the water park everything is clear and so easy to find lockers, toilets etc. Nice Staff friendly and helpful. I have been to Marmaris for 3 times with my kids and each time we had really good time. We tried all waterparks in Marmaris. Aquadream is absolutly the only waterwark is town. The other 2 is just far too small. Thank you ! We loved Aqua Dream and buying online is much cheaper than buying at the park. 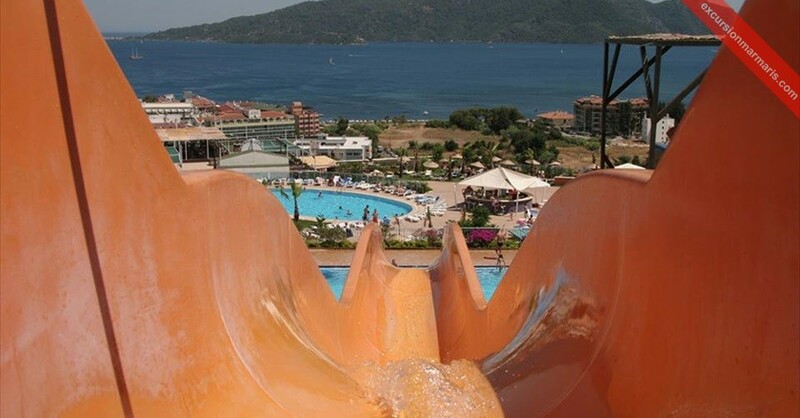 The place has got a stunning view of marmaris, slides are really big and great fun for all the members of the family.